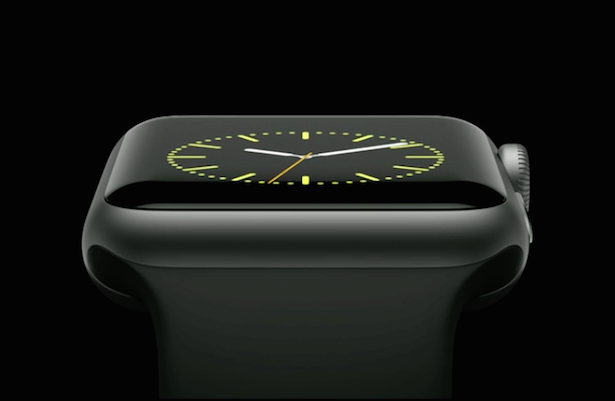 Apple Watch Sport has an anodized aluminum finish, which comes in both space gray and silver. These finishes will actually match most closely with the existing case materials of the iPhone 6 and 6 Plus, because of their matte look. The display of the Watch Sport editions are protected by a special ion-treated durable glass, similar to what is used on the iPhone, too. The Watch Sport will ship with a rubberized plastic sport band, which is available in a range of colors. The Watch Edition uses the same sapphire crystal to protect its screen, but it comes in either rose or yellow 18-karat gold, which partially accounts for its much higher cost. The Watch Edition also offers exclusive strap options, including leather bands and sport bands with special 18-karat gold hardware in finishes matching the case of each particular model.